Sometimes you want to go on vacation where pampering and relaxing are your only worries. Here are some of our favorite indulgent getaways in Mexico where you won’t want to leave the resort, and you’ll wish you could stay long after your checkout time. 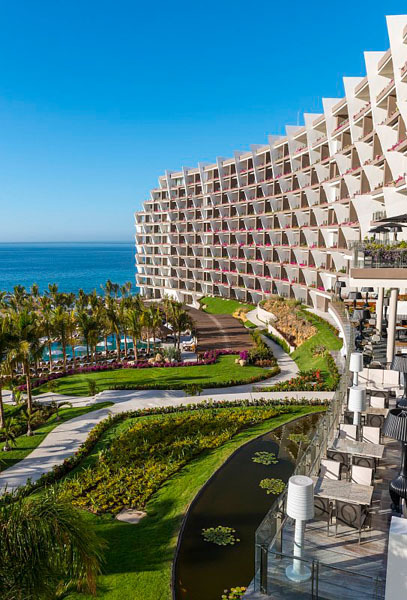 Never did we think true all-inclusive luxury was possible until we stayed at Grand Velas, it and its sister properties in Riviera Nayarit and Riviera Maya are among only a few five diamond all-inclusive resorts in Mexico. All three Grand Velas resorts are AAA Five Diamonds. There are less than a handful of other All-Inclusives who also hold this distinction. 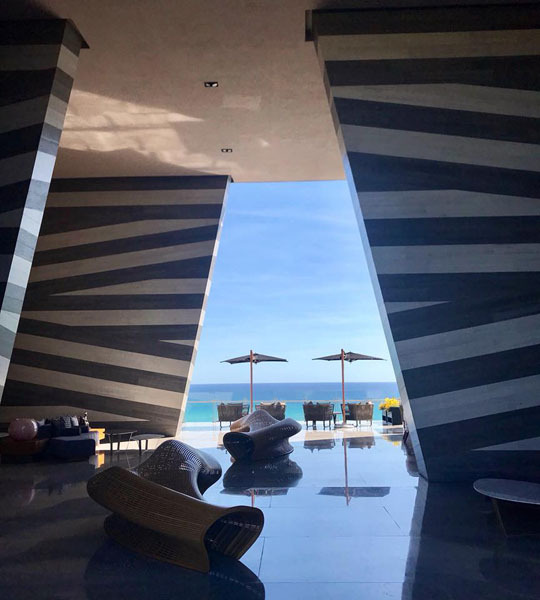 The one year old beachfront hotel gives new meaning to the word “all inclusive” because the Grand Velas provides service, amenities, privacy, and restaurant options where everything is included in one’s stay, and with the most high-end luxe experience. Upon arrival, the bold sweeping architecture greets you with an open air grand entrance three stories high, along with a team that ensures your check-in is seamless. Every area of the resort boasts dramatic ocean views. 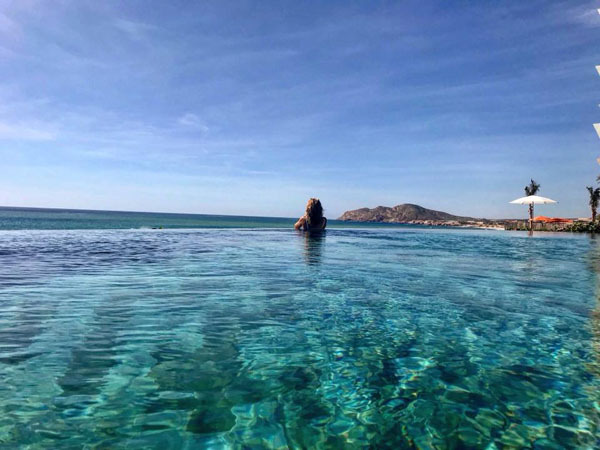 The $150 million resort on Mexico’s Baja Peninsula is the fifth property of Velas Resorts with over 25 years of tradition in hospitality. 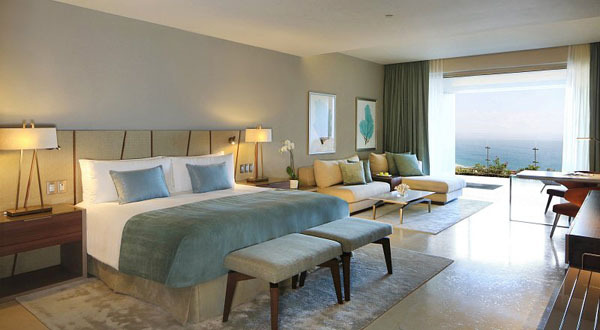 Located between Cabo San Lucas and San Jose del Cabo, Grand Velas Los Cabos features 304 ocean view suites, all over 1,180 square feet. Some rooms even come with personal plunge pools. Don’t want to leave your chic oversized designer suite that comes with coffee, tea, wine, tequila, snacks and more? 24-hour In-Suite Dining is ready for you, including your lobster tail or Wagyu beef. It’s all included. Savor the pounding surf on your private terrace or retreat to your rainfall shower or enormous tub for more relaxation. You might find it hard to leave the room. Five gourmet opulently designed restaurants offer dining comparable to the top restaurants in the world’s capitals. Choose from French, Italian, Mexican, International, and seafood and steak. 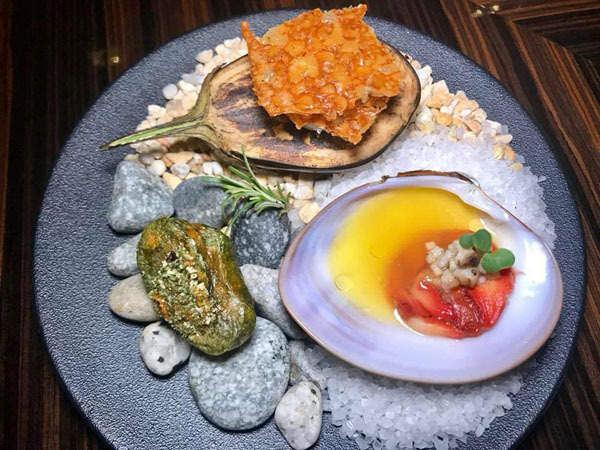 Cocina de Autor showcases a 10+ course playful menu from a two star Michelin chef. 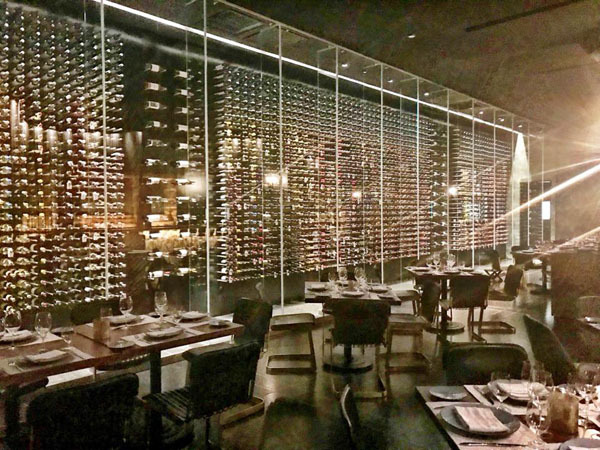 Lucca (Italian) showcases thousands of bottles of wine, and Mezcal and tequila tastings are offered at the chic Sky Bar. The coffee bar near the lobby was a welcome morning treat, and a post pool nosh at the Cabrilla ceviche bar after swim up cocktails was beyond satisfying. One day we dined on fresh sushi at their panoramic beach vista restaurant Velas 10. Great attention is paid to every detail of every meal, and everything is included in your stay. Breakfast can be ordered right to your room at whatever time you specify the night before, or you can dine at Azul, their breakfast spot on the ocean terrace or inside with AC. Your head will spin with every imaginable option (reminiscent of a Four Seasons brunch buffet) along with plenty of Mexican choices like enchiladas, stuffed chili rellano, chorizo hash, and chilaquiles. Eggs and crepes to order, fresh squeezed juices, cheeses and charcuterie, a wide variety of breads and pastries, and the best bacon I’ve ever tasted started my day with a smile. Although a “grand” resort, the property still felt private because it was not crowded. We barely saw more than 10 guests at a time. There was never a wait and concierge services (like having a butler) were always ready to assist, like the friendly pool staff always on hand to bring sunscreen, cocktails, or fish tacos. Grand Velas’s 35,000 square foot spa treatment facility reminded me of hotels I experienced in Europe and Scandinavia with a eucalyptus-scented steam room with chromotherapy, aromatherapy shower, sauna, and numerous hydrotherapy pools with different temperatures, sprays, and soaking beds. We hopped from one spa pool to the next checking out each spray pressure to release muscle tension, followed by a calming ritual massage treatment that included relaxation oils, our feet tenderly washed, intention setting, and a hot candle massage. Afterwards, heated loungers with warm neck pillows and cool scented towels lulled us into a state of inner peace. For the health-conscious and those who want to reconnect body and spirit, two level Wellness Suites may be your elixir. Expect to find a Lifecycle exercise bike, crudité minibar, Vitamin C sprinkler and aromatherapy kit. The rooms also come with an in-suite massage, personal spa concierge, and juice bar. Want to get a workout in on vacation? Their Technogym fitness center comes with personal trainers, exercise programs, yoga, Pilates, and meditation. Also, Grand Velas is a kid friendly resort, although I never saw any kids. There is an entire separate area (so not to bother adults) for water play as well as teen and kids club facilities and activities that would make any adult want to join in. Forbes’ gave this resort group the nod for the top 10 coolest all-inclusive hotels, and you will quickly realize there is absolutely no reason to leave. 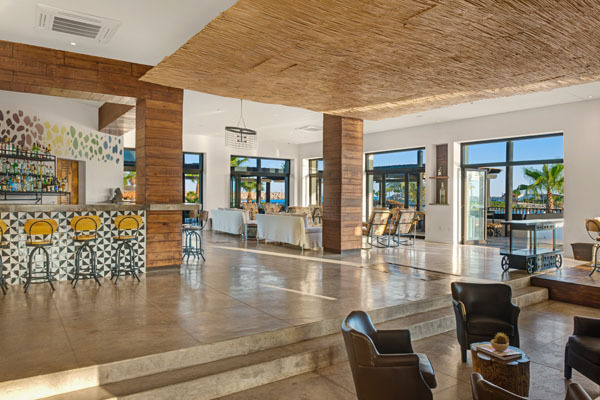 For a unique experience at an art-centric boutique hotel situated on Puerto Los Cabos Marina with its own private man-made swimmable beach a quick boat ride away, book one of the 70 rooms here to energize your artistic soul. Each room has been splashed by a visiting artist’s hand, along with grandiose artwork all over the property. The visual feast is due to Hotel El Ganzo’s own Artists in Residence program that includes artists, musicians, chefs, and writers who can enjoy the property in exchange for a piece of their artistry. Live musical performances occur nightly at the rooftop pool area and musicians can use the on-site recording studio underneath the lobby floor. 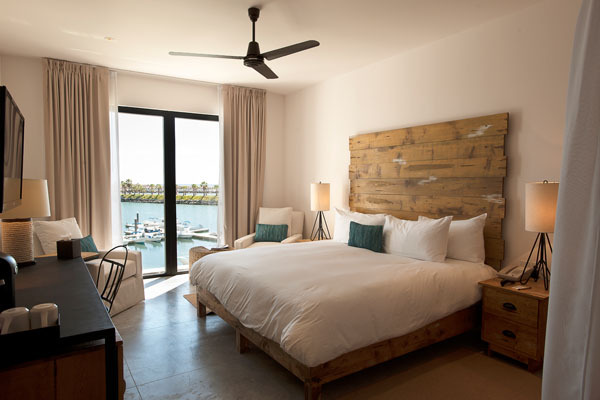 Each room features custom-created wood furnishings, stand-alone tubs, and rain showers. The live Indie music video content playing from the TV in your hotel room (thanks to their series of visiting musicians) creates an enjoyable mood when simply lounging in your room. Maroon 5’s Adam Levine had his wedding ceremony here. Savor fresh fish sushi in the swim-up infinity rooftop pool that hangs over the Sea of Cortez or sip cervezas in their rooftop fish bowl Jacuzzi. A fresh seafood and guacamole lunch can be enjoyed at the Beach Club after yoga or stand-up paddle board. 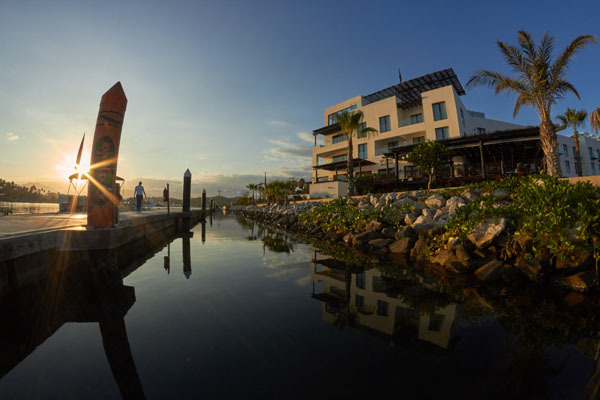 At sunset, take one of the hotel’s bikes on the dirt path through the palm fronds to the impressive sculpture garden and glorious rock garden area. Immerse yourself in this energizing and hip, arts-inspired hideaway, Hotel El Ganzo. 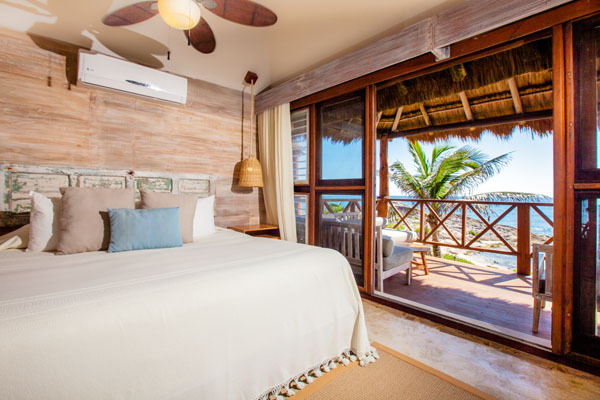 Part of the Colibri Boutique Hotel Collection, El Pez’s rustic chic decor is perfectly BoHo Tulum. 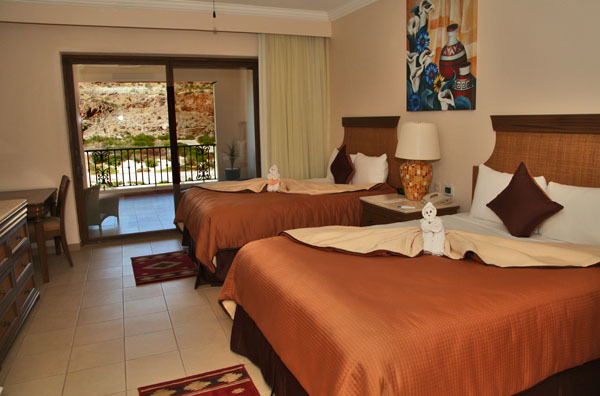 The rooms are cozy, colorful, and minimal with soft towels, rain showers, and scrumptious bed linens. 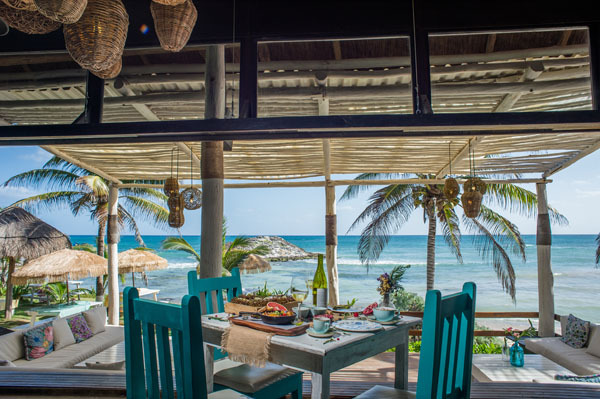 Find solace at El Pez since this property is situated in secluded Turtle Cove where pelicans constantly dive bomb into the sea right outside your room between two grandiose rock formations. During nesting season turtles lay their eggs here. As the winds whip the warm air, your oceanfront “villa” feels like a private home since there are only six ocean view rooms (two are beach houses). You’ll want to stare at the sea all day with the doors wide open because the sparkling waves feel like they may touch your feet in bed. With the pounding, mesmerizing surf a few feet away, there is no better plan than to waste your days unwinding on the comfortable deck chairs in front of your room, while only worrying about when you will take a dip in the ocean. The welcoming friendly staff really made our stay. Tea and coffee greeted us before bed, and each morning the pots were carefully placed outside our room to help us start our day. The three course breakfast in their comfy intimate outdoor sofa lounge area surrounded by the heartbeat of the sea was magical. At night, people enjoy dining here (even from other hotels) with dreamy live music creating an intoxicating setting. If you feel like venturing out, the hotel offers drink tickets to explore their other breathtaking locations. We ventured to Mezzanine for Mezcal cocktails hanging off a blustery cliff followed with fresh sushi-grade appetizers at Mi Amor, a super romantic mod setting with playful decor and dramatic waterways in the entrance. Little did I know El Pez was where we would get engaged, right outside on the rocks in the middle of the ocean at sunrise, just my husband and me, the soaring birds, and the blaring morning rays to illuminate our love. 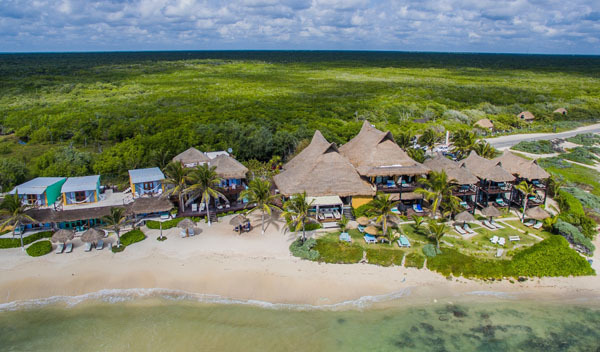 El Pez is a place you will find yourself daydreaming about long after you leave and wondering how you will find a way to return. This resort situated about 30 minutes south of the adorable Mexican town of Loreto in the Baja Peninsula is the type of place you think doesn’t still exist. 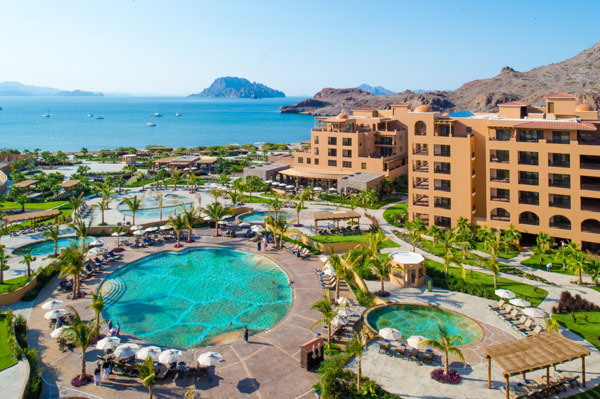 There is nothing else around Villa del Palmar, except the natural beauty of the land combining desert, mountains, and sea along with pristine untouched islands nearby on the Sea of Cortez – a true sanctuary. 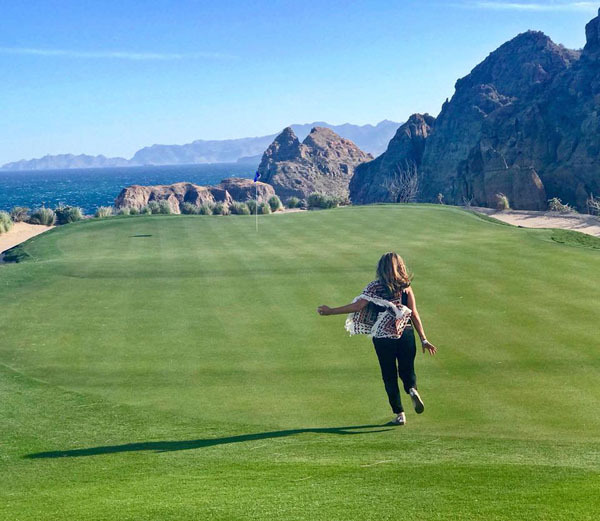 From the resort you can take a sunrise hike to a nearby vista or play unlimited golf on the newly opened 7,237-yard, par-72 course with awe-inspiring views of Danzante Bay, the Sea of Cortez, and the majestic Sierra de la Giganta mountain range rising to the west. The stunning golf course showcases a diverse environment of golf holes with 250 feet of elevation change along the way adding breathtaking dramatic scenery as the round progresses. The golf course is carved into this incredible setting and at hole 17 you are literally on a cliff hanging over the sea. Other reasons to visit include world-class fishing, mountain biking, horseback riding, paddle boarding, kayaking, and whale watching. However, you may wish to just lollygag in one of their many pools, or spend an afternoon at their luxurious Sabila Spa where you can begin or end your massage with a steam room, warm and hot jacuzzis, cold plunge pools, and a freshly cut aloe bath. In the 39,000 square foot facility the lounge chairs stare at the mountain desert views, and in this restful area the attendants take care of you with a hot herbal neck compress, chilled towel on your head, and cucumbers on your eyes. Also, in this part of Mexico the liquid black night sky feels like a vacuum of glittering stars due to no light pollution. 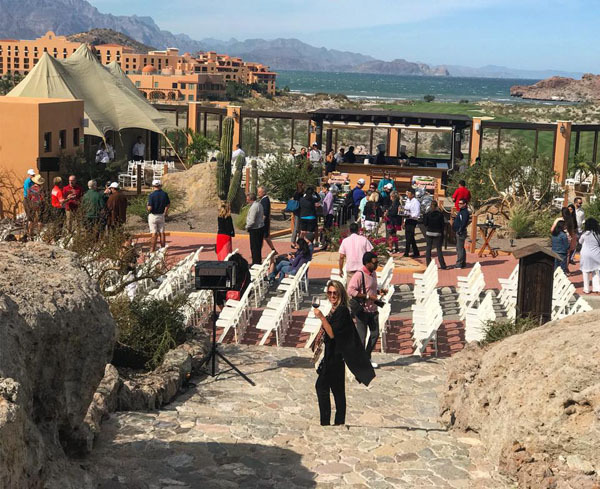 If you feel like exploring, the hotel’s shuttle can whisk you to their “nightclub” hanging cliffside near the property or shuttle you to explore historical Loreto to visit a mission from 1697, and enjoy a local breakfast for $4 including coffee, juice, fruit, eggs and bacon, and refried beans. Absorb the beauty of the land, breathe deeply the fresh air, and unplug for a few days since the Wi-Fi and TV can be spotty. Staying here will remind you of the importance of taking time for mental and physical restoration in the pursuit of overall wellness.